Saying Cabos San Lucas weather is perfect, is not really much of an exaggeration! That is, for most of the year, the days are warm, skies are blue, and the sun is shining. Breezes off the Pacific and Sea of Cortez keep things nice and fresh, and there is a delightful absence of humidity. Active and athletic folks love the climate. They can take part in their favorite activities every day, because rain is so rare where the desert meets the sea. 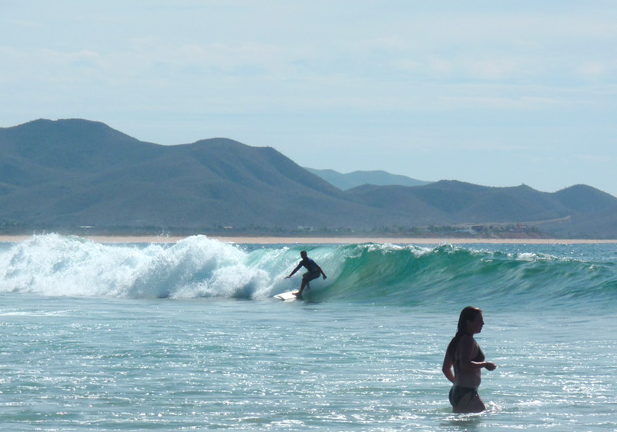 And because Cabo San Lucas weather is so fantastic, every activity you can imagine is available. About the only thing you can’t do in Cabo is alpine skiing! 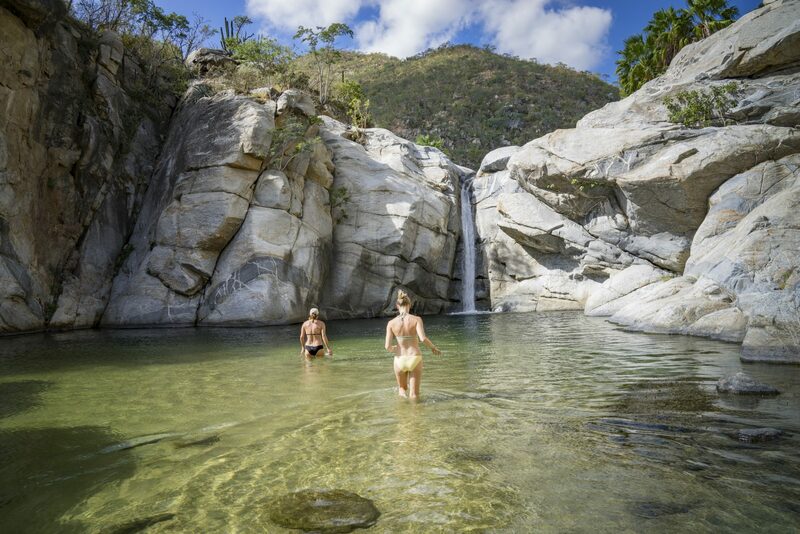 From camel riding, swimming with dolphins, zip-lining, fishing, golf, tennis, swimming, surfing, SUP boarding, kiteboarding, snorkeling & deep sea diving during the day, to fine dining, dancing and clubbing in the evenings, there is never a shortage of things to do in Cabo. The climate is so incredible, Los Cabos has spawned an indoor/outdoor lifestyle, impossible to duplicate in most other parts of the planet. Al Fresco dining is the norm in Cabo, since evenings are still and the fragrance of jasmine and plumerias waft through gardens and terraces. Open air terraces and courtyards sparkle with tiny lights, torches, and candles, making dinnertime truly magical. Even flying insects are rare, making the need for mosquitoes (screens) only necessary during and after the rainy months… The only months which get a little sticky and steamy are August and September ~ sometimes till mid-October, but air conditioning is universal, and only necessary during this time. The summer months are beautiful, especially if you’re in or near the water. Fishermen and surfers prefer those months, when the big ones are biting, surf’s up, and the water temperature is warmest. Christmas and New Years is the only time you might need a wrap or jacket for the evening. 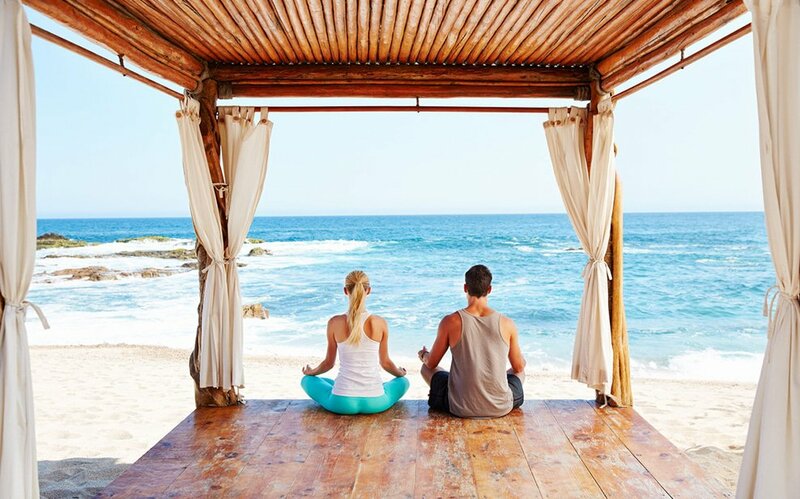 The tourist season in Los Cabos is longer than almost anywhere else in the world, because from October 15 to July 15, there is absolutely nothing to complain about! The few other months, you’ll need AC, but where else on earth can you NOT need heat or AC for nine months of the year? Cabo San Lucas weather is simply the best! Los Cabos residents, Caboholics, and first time visitors all know this and love it. Combined with warm Mexican hospitality, Cabo San Lucas weather makes Los Cabos one of the most popular vacation destinations in the world. When are you coming?